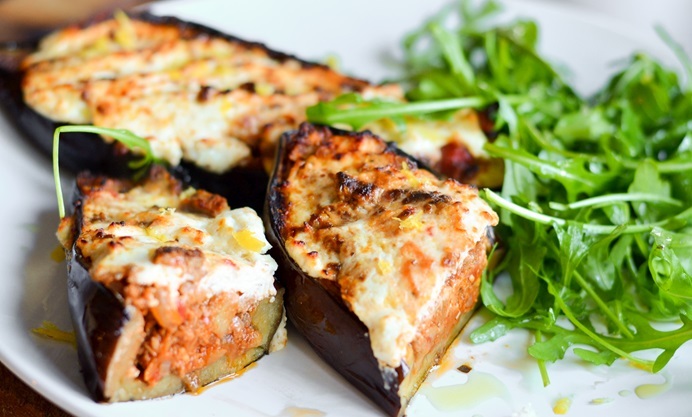 Danny Kingston served up a fabulous stuffed aubergine recipe, using Quorn mince to create a rich ragu. 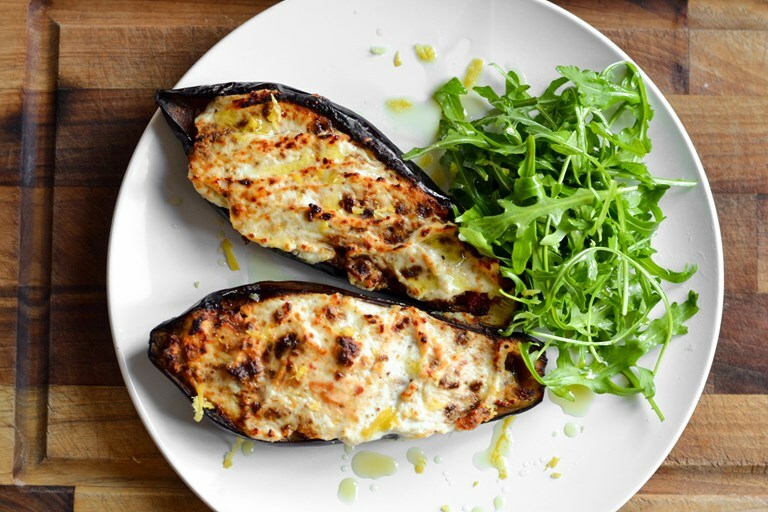 He tops off his dish with zingy lemon zest, creamy ricotta and Parmesan for extra comfort food factor. If cooking for vegetarians, use a similar hard cheese that uses vegetable rennet instead, as Parmesan contains animal rennet. 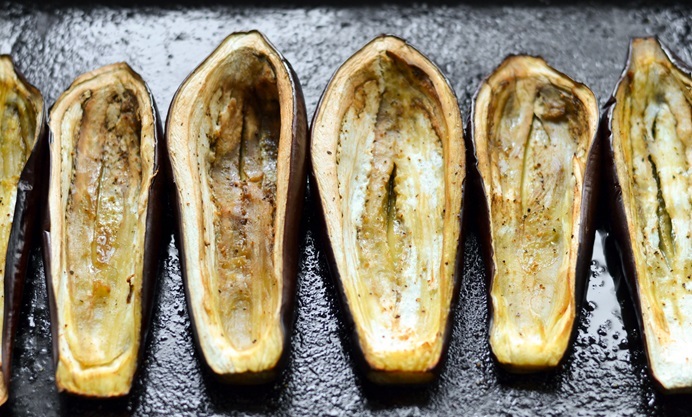 When it comes to cooking and eating, I find that it is always good to try and kill two birds with one stone. And when I say that, I am not saying that you go out and take aim at a couple of pigeons with a slingshot. Ha! No! I am not suggesting that at all. But if you can solve two problems with one fell swoop of the wooden spoon, then you are onto a winner and everyone loves a winner baby. That’s no lie. 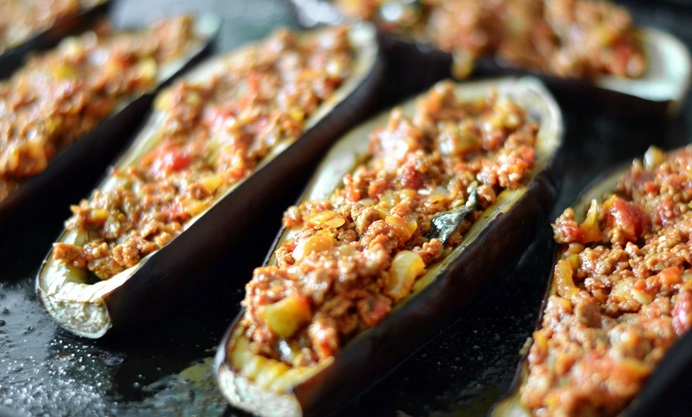 I know I certainly felt jubilant after coming up with this recipe, namely aubergine stuffed with Quorn ragu and topped with parmesan, ricotta and lemon. For lots of reasons, which will be become apparent soon enough, but first you need to picture the scene. “It’s a sort of spag bol,” I replied. Before adding in a tone that said I didn’t really know what the hell I was talking about. Luckily, I had already mentioned the magic words and because my children love ‘Spag Bol’ so much they leapt straight into it, without having to worry about special baskets; and before long, the plates were clean as a bone. With much cheering and sloshing of cordial along the way. Which brings me back the original notion of a double triumph. You see, I’ve become very much aware that I have passed on my voracious appetite for meat onto the twins, which does worry me a bit. For as much as I bash the drum for carnivores everywhere, I am aware that eating too much fatty animal protein, especially beef, isn’t the healthiest. As such, I was very happy that our first outing with Quorn passed the litmus test, especially with my two. I was quite happy to discover that I liked it to be honest. Not to mention surprised. 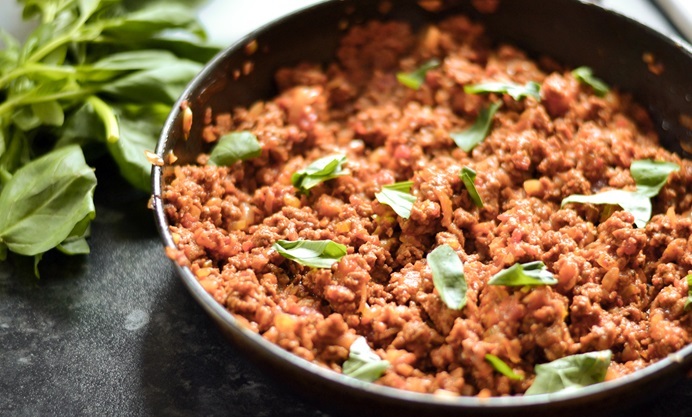 The texture of the mince was slightly different yes but the overall flavour was pretty good and as a result, I would definitely use it more often. So that was the first hurdle. And better still, no real birds were harmed when making this dish.